The Hecatonchires were the offspring of Gaia in Greek myth. 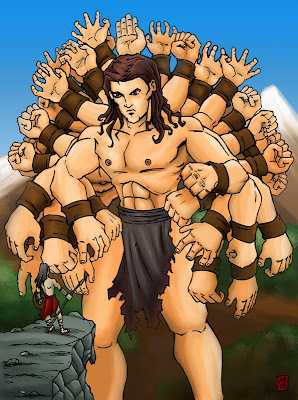 They were towering giants with 100 hands and immense strength. Because they were imprisoned by the Titan Chronus, they sided with the Olympians during the War of the Titans.